From the first Cappuccino Machine in the US to walking on the road build on yesteryear’s Brook to gorging on Family run Pizza Jaunts to munching on Syrian Family owned restaurants serving Falafels, we are today going to spend our time in South Village where working class used to live and where food is cheaper. A lot of buildings around here is pretty much owned by New York University , which started in 1831, the first school to not bring Religion in the studies . Today its one of the most expensive University in US having about 86,000 students / year. 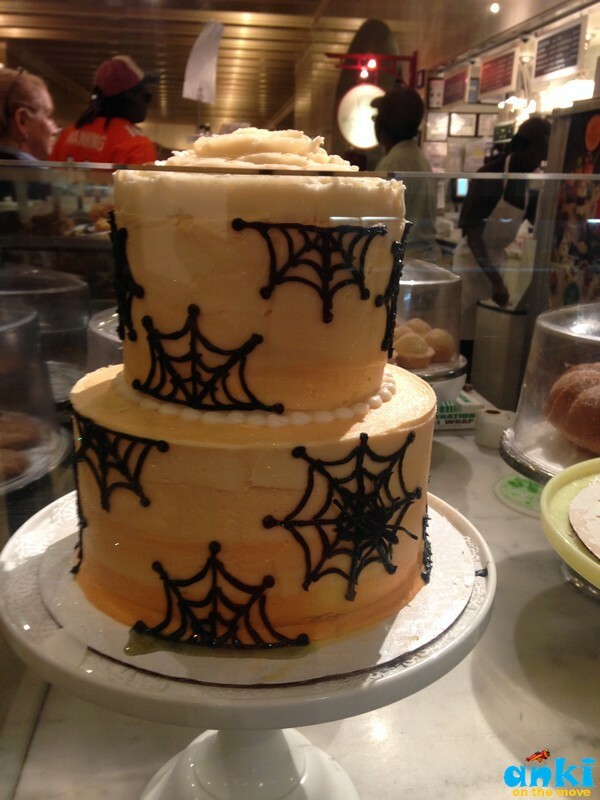 Cheap food and Delish jaunts, that’s all I yearn for and that's exactly what we are talking about today in New York City! 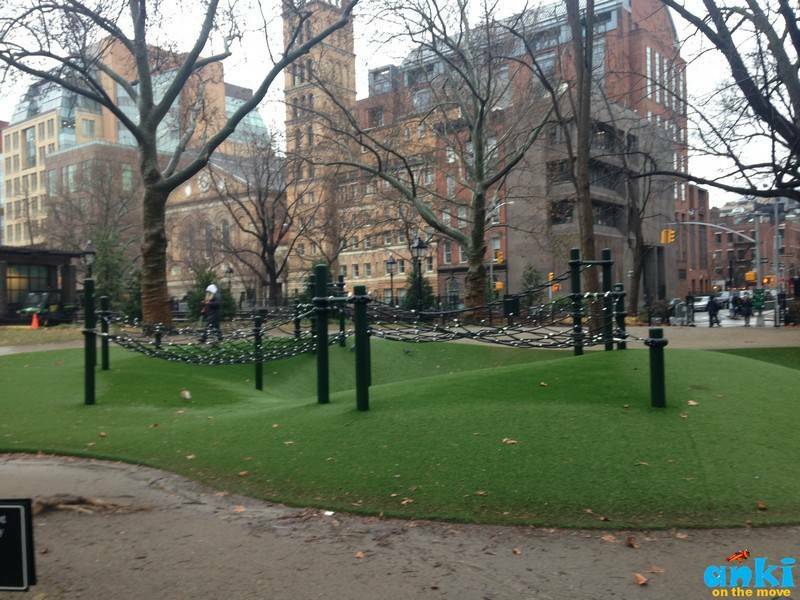 I rolled my eyes in a sense of bewilderment around Washington Square Park. They film here all the time she says. 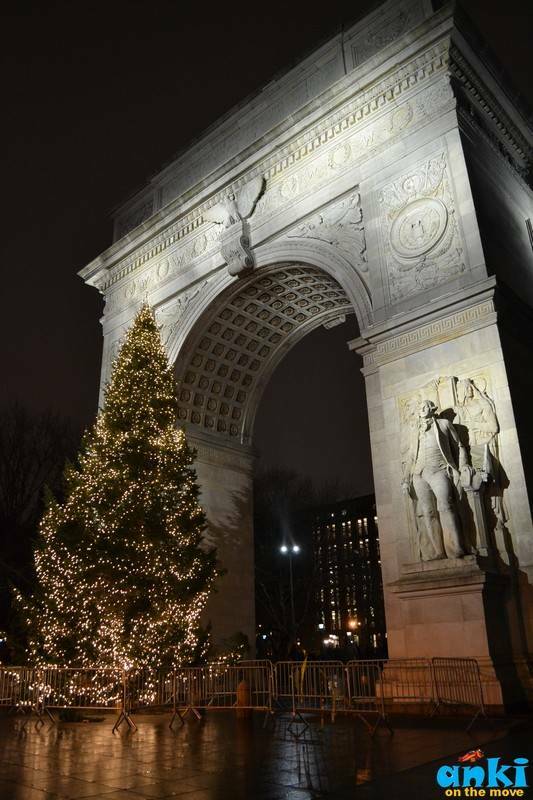 Remember, the movie ‘When Harry met Sally’ When Sally drops Harry its on the front of the arch right there. As she pointed out directions on how popular the city is with Hollywood in terms of locales they choose to shoot at including stills from Will Smith’s I am Legend, She continues 'Pretty much all the parks in the city is built on the burial ground. Right where you guys are standing are 10,000-20,000 bodies buried’ . If you were to know more about the area, you must have an archeologist thats how much is underneath the park. We then walked towards Greenwich Village. 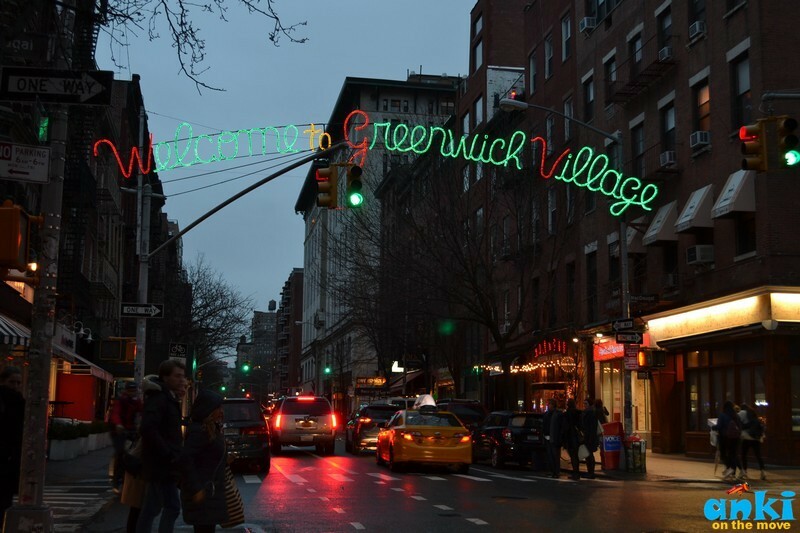 Greenwich village was a village. Greenwich Village has 400 years of History when the Dutch company came to South of island and set aside 200 acres for the Tobacco Farm. Over time the farm was parceled, and the street that was between the two farms was Christopher Street - the oldest Street in Greenwich Village in the 1700’s. In 1882, due to yellow fever academic, people moved from lower Manhattan to Greenwich Village. That is why West Village developed with really nice homes later turned apartments and now family homes. Thats how pretty much how New York got settled, the rich would move to north to get away from sickness and the rest of classes would follow. Greenwich village was mostly swampland and the city felt it would be great place for the burial of the yellow fever victims and anyone who can’t afford the funeral. So, 1000’s and 1000’s were buried until they couldn’t fit in anymore. So they leveled it up and made into Military Marching Parade Ground. The canons then would roll the field and sunk into the graves. Sensing it wasn’t a good idea, it was made a park. There was Bus depot on the other side which would drive to the arch and would turn around on the other side and come back at 5th avenue. Around this area, are also remnants of Washington Muse where the stables were and today they are converted into NYU offices. 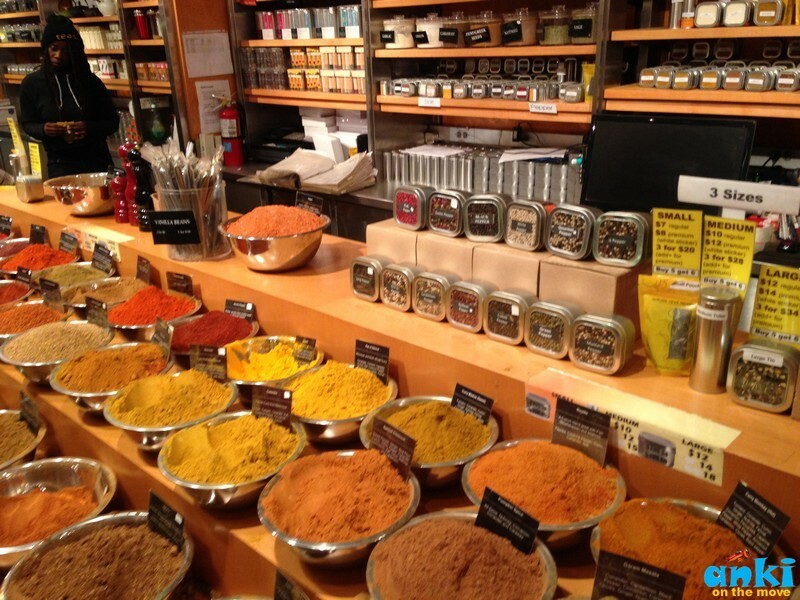 The food in West village though is expensive for about $20-$30 types. 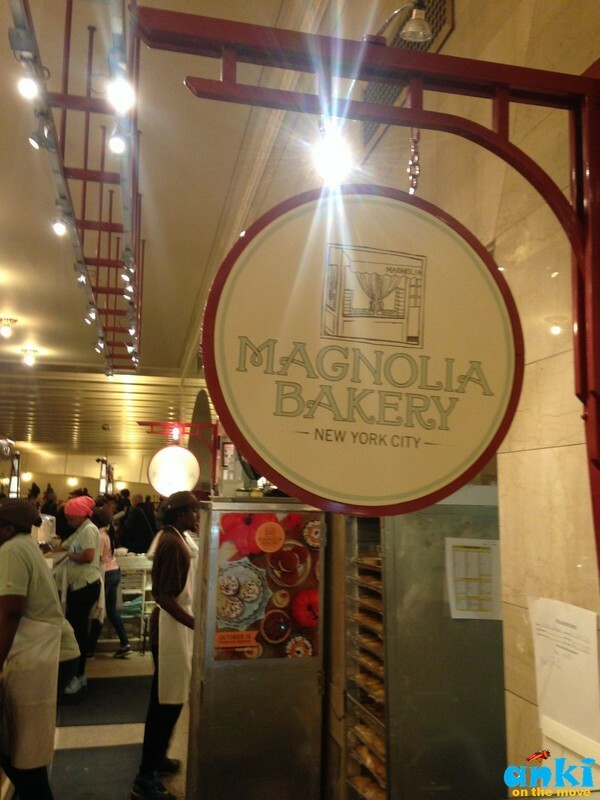 The best part about a food tour is the sample delights that you can taste for $1 as we did in the South Village. That saves you munching one time at one spot and taking a nap afterwards as you can taste several food delights from different places in small quantities. 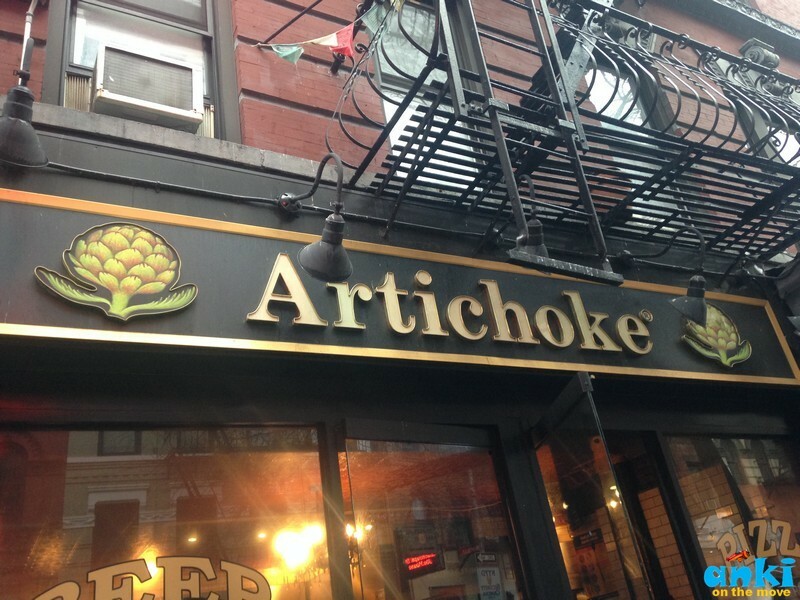 1) Artichoke Pizza: The family is in the Pizza business for like forever and they are from Staten Island. 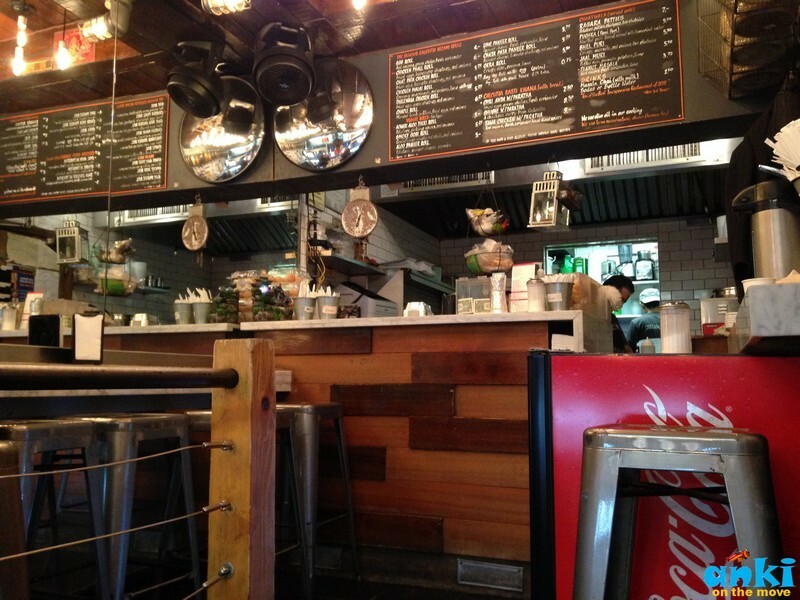 They serve crispy semi thick rest lined with soft Artichoke, cheese and spinach pizza. They also have Pepperoni, Crab Meat, Macaroni flavors. 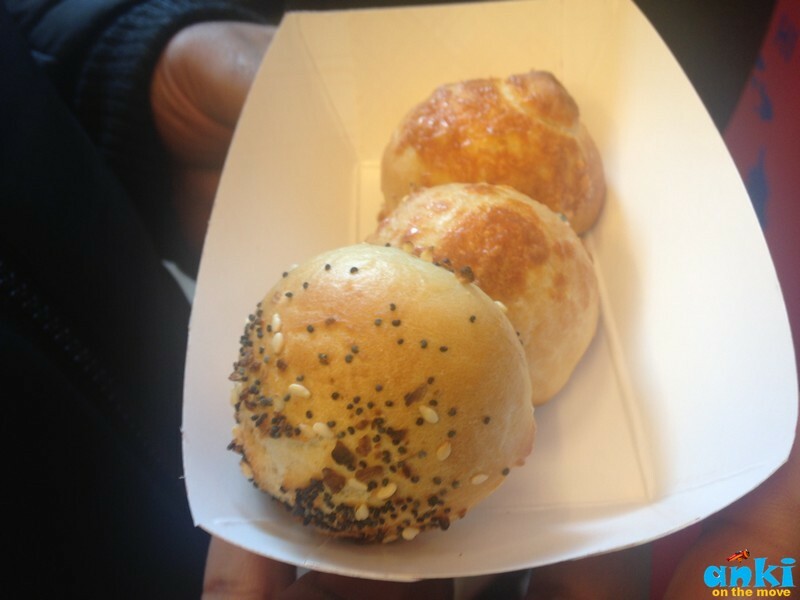 We tried Quarter sized sample for $1 and they were delicious. 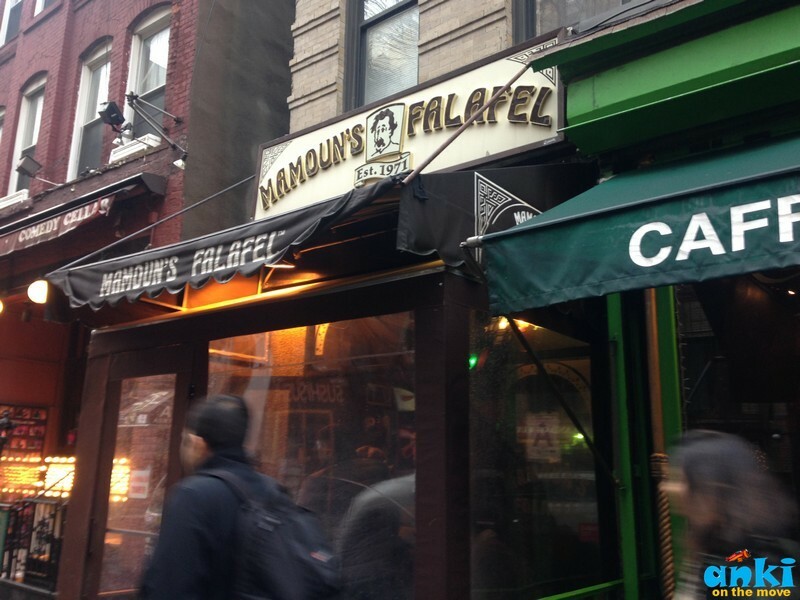 2) Mamoun's: Mush the chickpeas with some herbs and make them balls and fry because that's how Falafels are made but Falafels at Mamoun's with sauces are awesome! The samples were 3 Falafels for $1. 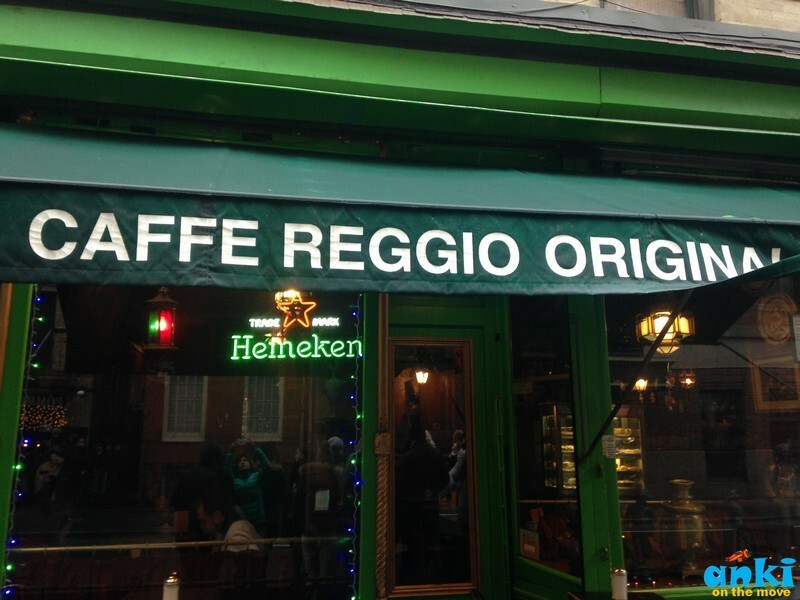 3) Cafe Reggio: The very first Cappuccino machine in all of US was here. Little Italy in an Italian Group. A lot of different groups lives in south village. The italian had the longest lasting effect so there are lot of Italian restaurants and businesses here. So when Italy became a country in 1871, that generation does not associate themselves as Italian but the towns they came from. So when they had left Italy for US, Canada and had come from South of Sicily which meant that they were most likely farmers, considering were were farm lands here on which they constructed buildings, bridges etc, and thats how Little Italy formed where people would move to a block where everyone in the town is from. So if you were from Palermo, everyone in your block would be from Palermo and so on.. 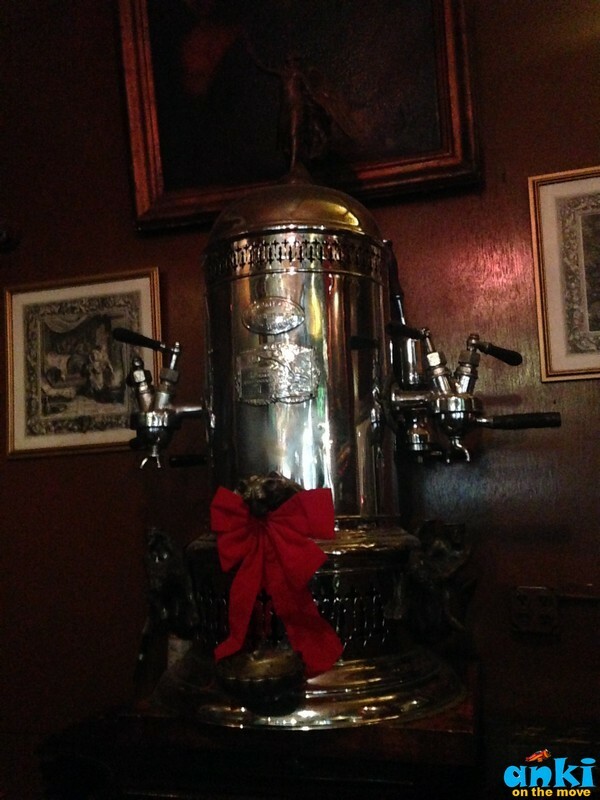 Here people were from Genoa in Italy..This neighborhood at little money until little started creeping and blending in and thats how 1st Cappuccino machine lands up here. 4) Faiccos Rice Balls : Store in Business since 1800’s individually sized balls serving with Risotto Mozzarella inside. You also get Expresso Coffee Soda here. 5) Up & Up There was bar in the basement was the location of the gaslight cafe. In 1960’s Greenwich Village was cheap so all the artists , writers, musicians would be there because of cheap rents. And if someone was up in the county, they would perform in the Gaslight cafe. There was ‘Pay what you like’ concept. The buildings around the area had air shafts between, so the buildings are attached side by side and in the middle there was a curve where the shafts were and then come back together again. When people would perform & audience would clap, the sound would go into air shafts and tenants would get mad and call police. Then they started ‘Snapping’ instead of ‘Clapping’. 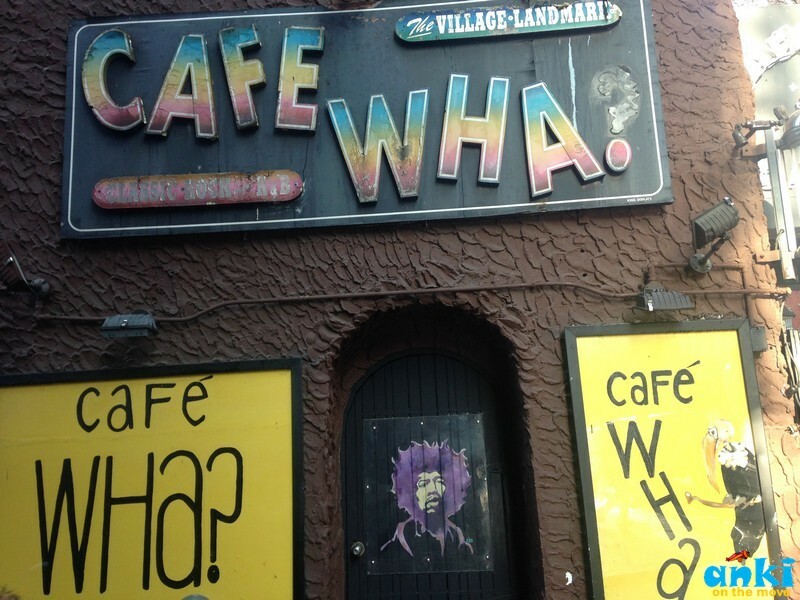 6) Cafe Wha Opened in 1959 this was another place for upcoming artists. Bob Tyler came to New York in Jan 1961 and performs in Cafe Wha and then asked the audience if there was a couch to sleep and slept at an audience’s couch at night. Cafe Wha , the unusual name ‘Wha’ was named on his owner’s grandma’s . She didn’t understand English very well so she was from Russia and when she wouldn’t understand she would say ‘Wha?’ Today it has a real bar unlike the Coffee bar it opened upto and there are 2 live shows every night. 7) Minetta Tavern This was called the writers hub. Readers Digest Started here in the basement. Ernst Hemingway used to come here. Joe Gould also known as, Greenwich Village Eccentric, roamed around Harlem and Greenwich village to ask locals and journal and journal and write oral history of the world. The restaurants would pay food for him for free and he would sleep on other’s couches for 20 years. 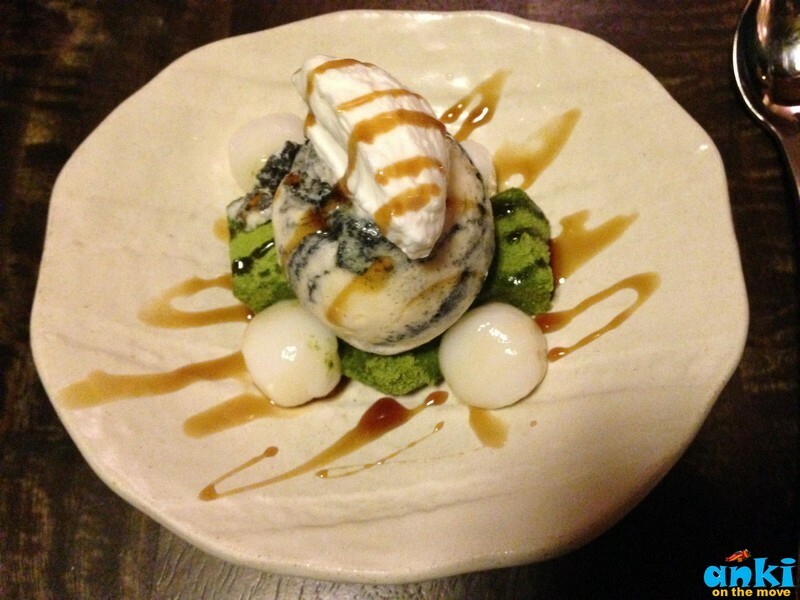 The place today is aesthetic and highly rated expensive restaurant with hamburgers for $32. 8) Minetta Street Minetta means Devil Water, some say Spirit Water and etc but native Americans used it as a causeway and they were able to Fish out of it . Streets have been built over it so there are buildings over it. In 1900’s when it would rain heavy, people of Minetta would complain that the Brook flooded the basement and New York city response would be it can’t be because the Minetta does not exist anymore. They studied the construction and they had to go beneath the street and found the Minetta Brook. 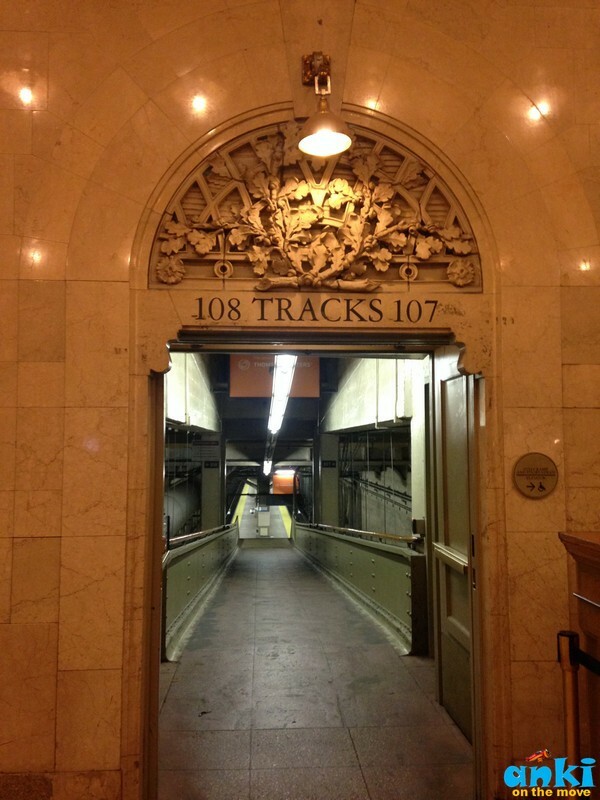 There was once Minetta Brook tour that was by lifting the manholes and showing the brook. A brook is smaller than the river bigger than the stream. There was one store on the corner that had a grocery store and there would build homes for people to shop at the store. A grocery used to be a name for illegal bar in those times so there was a bar in the basement. Walk west block to the northwest corner of Bedford and Grove Streets and look diagonally towards six-story apartment building , that's what served as an exterior for Monica's and Richael's apartment in Popular Flick Friends. 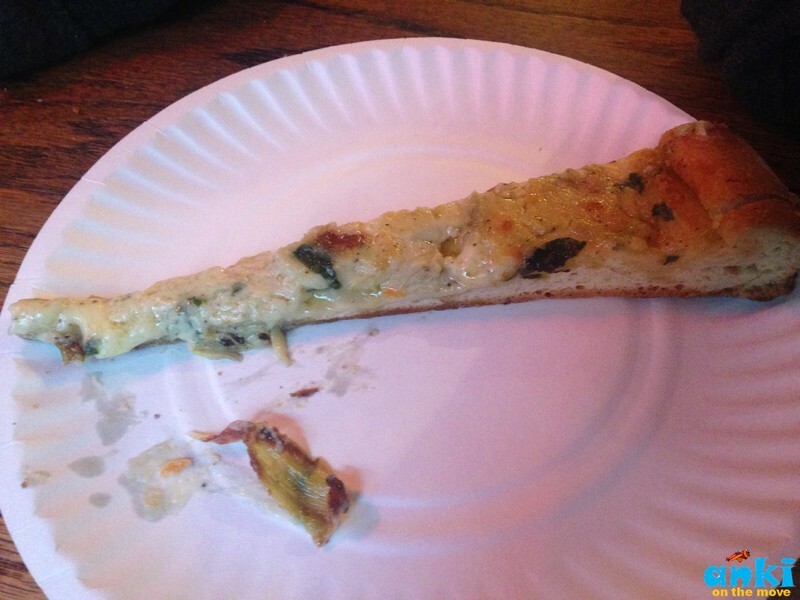 10)Bleecker Street Pizza: It starts with a very cute story. The owner of this jaunt was a former police officer in New York and thats why the location is here. The story goes like the grandmother came to New York and brings all her family recipes and every meal she would make pizza for the family and everyone would joke around and say ‘We should open up a shop and sell her recipes’. He retires from the police force and says to his family that lets start a shop, and his family thinks its crazy but today it is being voted 1 by the Food Network 3 years running. 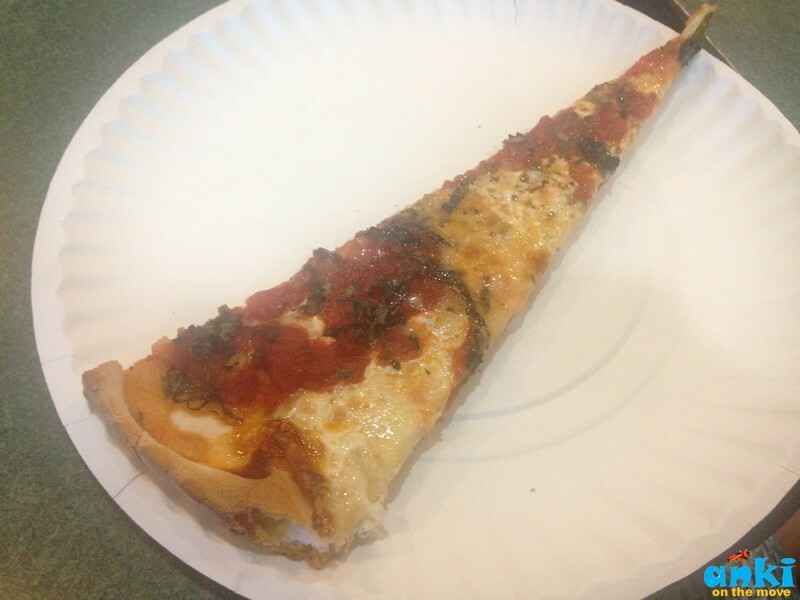 This restaurant has been here for just 14 years and serves Tuscan Style Thin Crust pizza. He stays true to his grandmother’s recipe and same ingredients same everything is used. When fresh Basil is not available, they get it from somewhere it is available fresh. 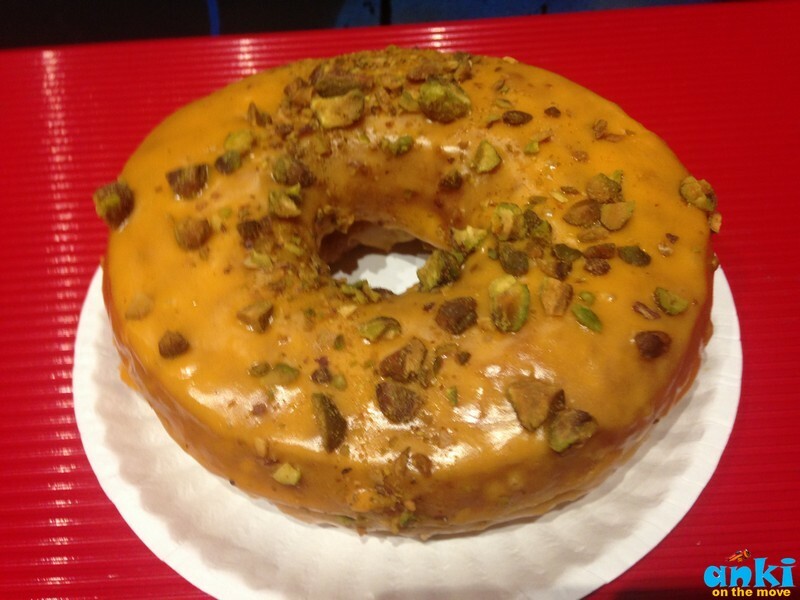 11)The Doughnut Project: The doughnuts here are great to have. 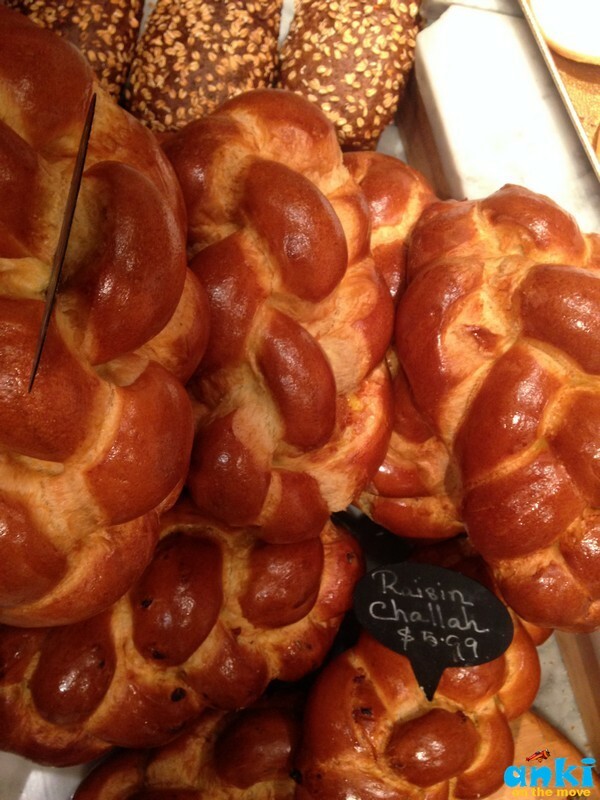 12)Bantam Bagel: Included in Oprah Winfrey's favorite things list, there are several type of Bagels including Everyone’s Favorite, French Toast, Plain Bagel, Plain Cream Cheese, Pretzel, Cheddar Jalepalo Cream, Birthday Cake etc. 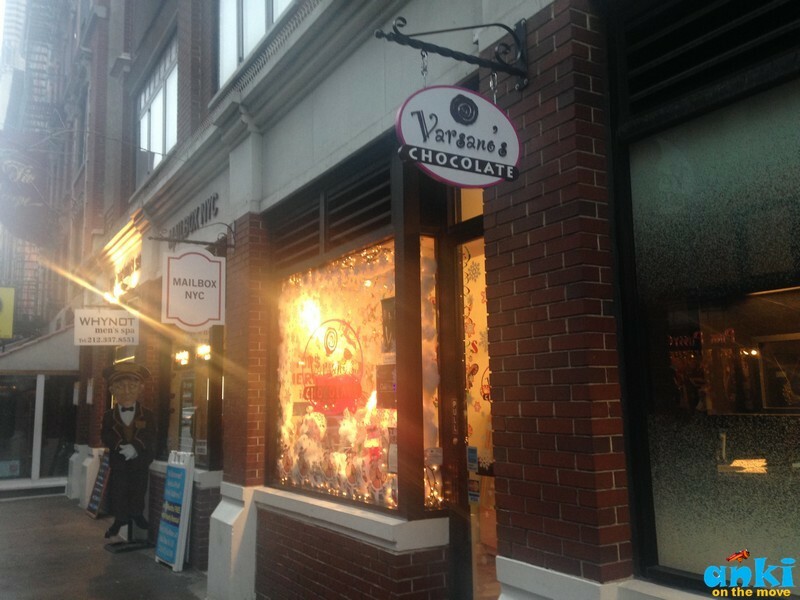 13) Varsano's Chocolate : A place for great truffles. 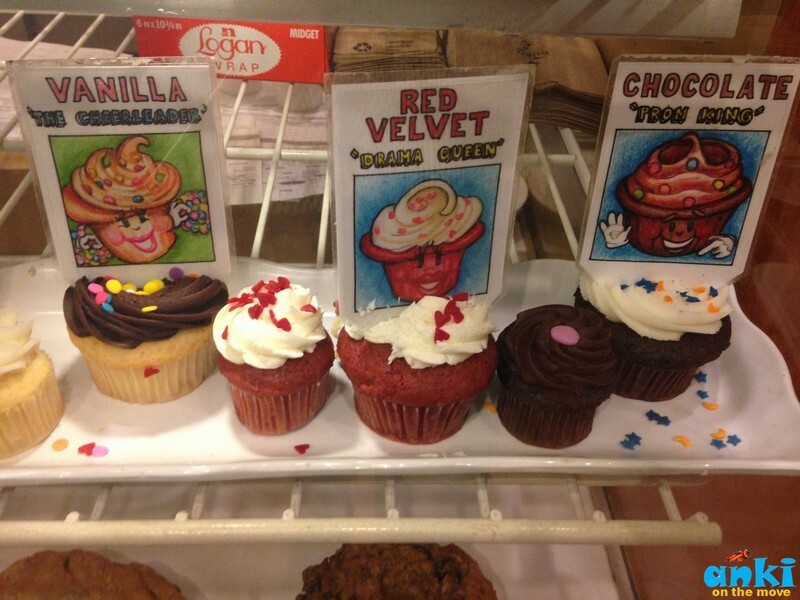 14) Molly’s Cupcakes : There are mini and molly cupcakes in this super cute setting. 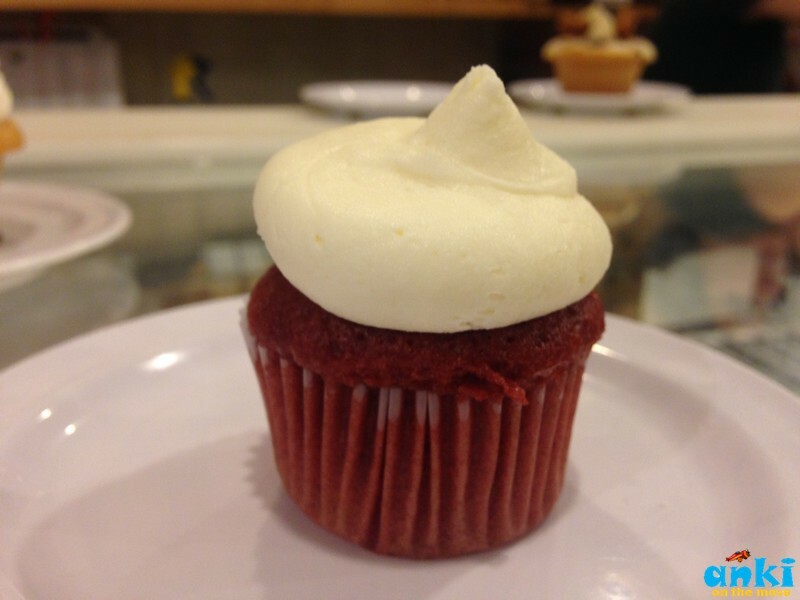 And if they mess up your cupcakes, they have ugly duckling section and they give discounts to you. 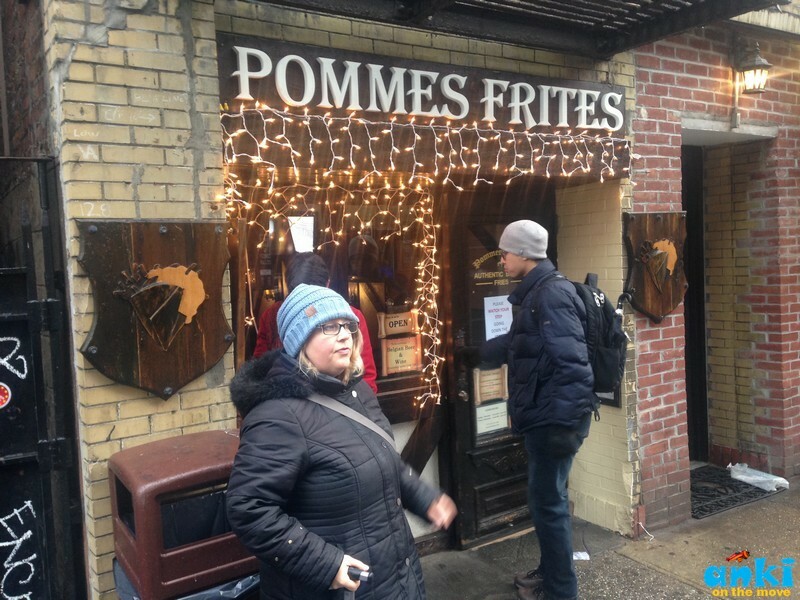 15) Pommes Fries: Old world style Belgian Fries served in Paper cones. Indulge in choices from 30 different sauces to go with the fries. 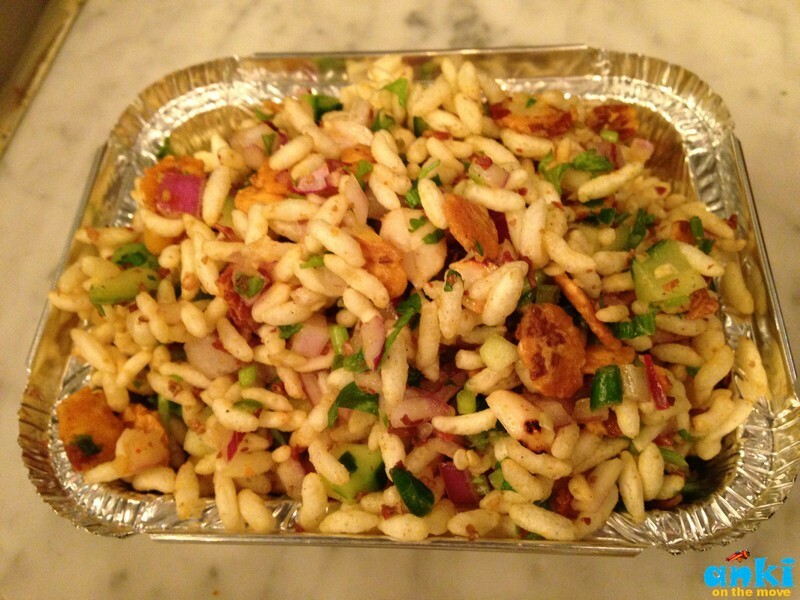 16) Thelewala: A tiny spot that serves Indian street cart food including Lime Paneer Roll, Ghugni with Parantha, Jaal Muri and tea. 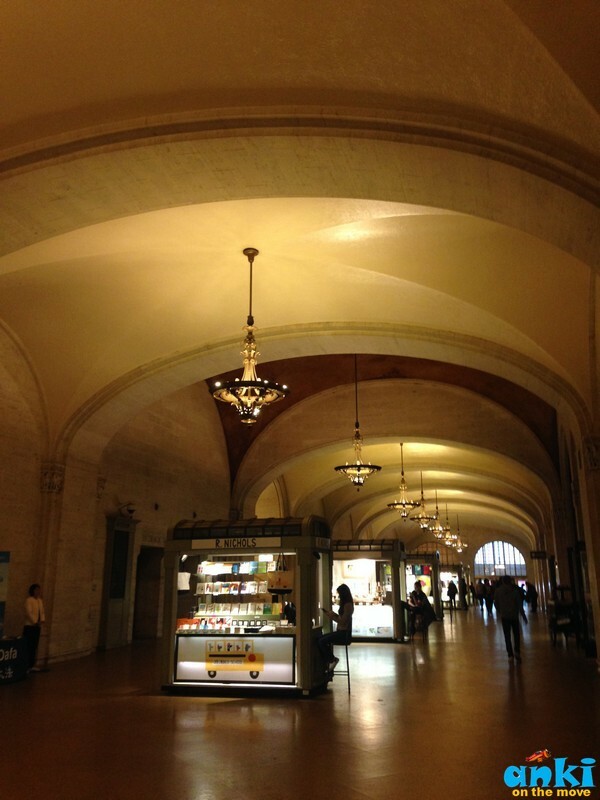 18) Grand Central Terminal: I love this place, first for the beautiful architecture that it holds with astral marble ceiling and second for the food. 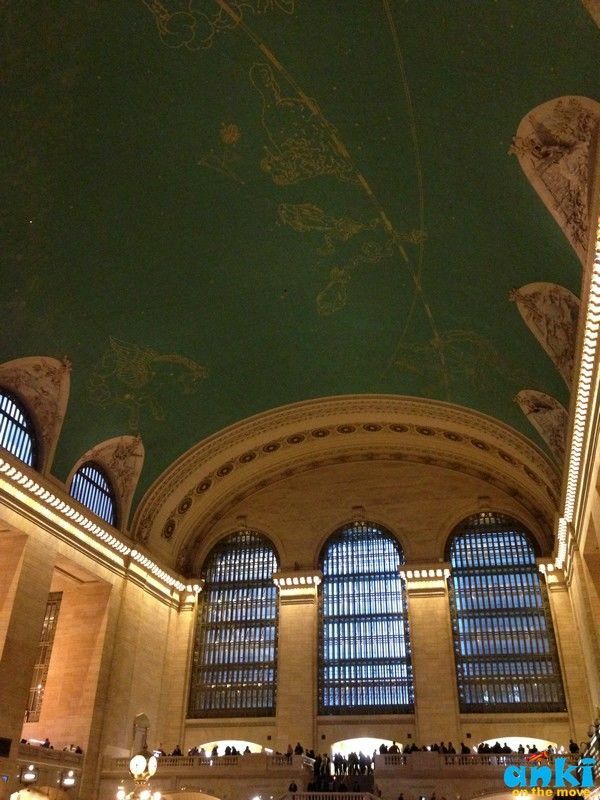 It has only been once that I took train to upstate New York from Grand Central Terminal but totally in awe with it. 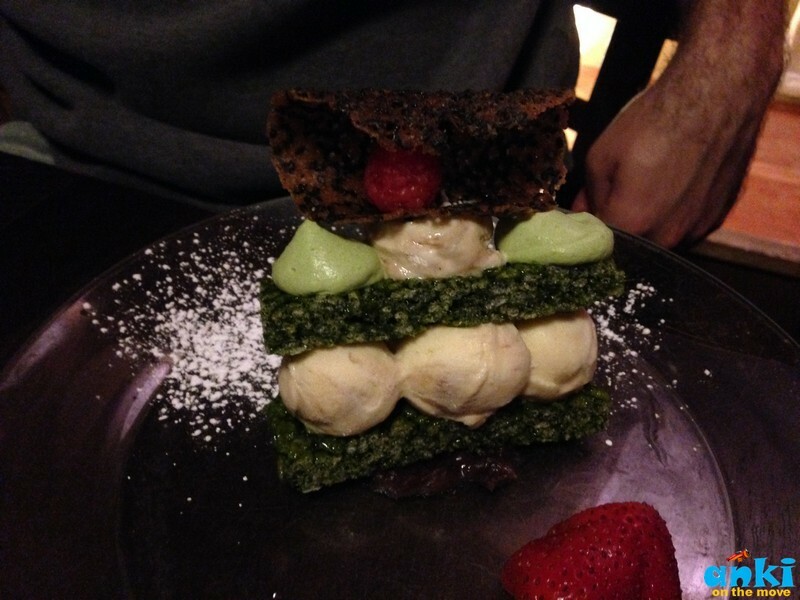 19) Cha-an at East Village: If you are lover of Japanese food specially matcha and senchas, this slightly medium ranged place is for you. With wooden tables and tatami benches, washi-paper lamps and seasonal floral decorations, Cha-An looks and feels like a little piece of Japan. 20) Beer Authority: It was once we were walking towards our bus stand 'Port Authority' and we spotted this place called Beer Authority right there. It is a place where you can munch in some Nachos and have Beer Cocktails. 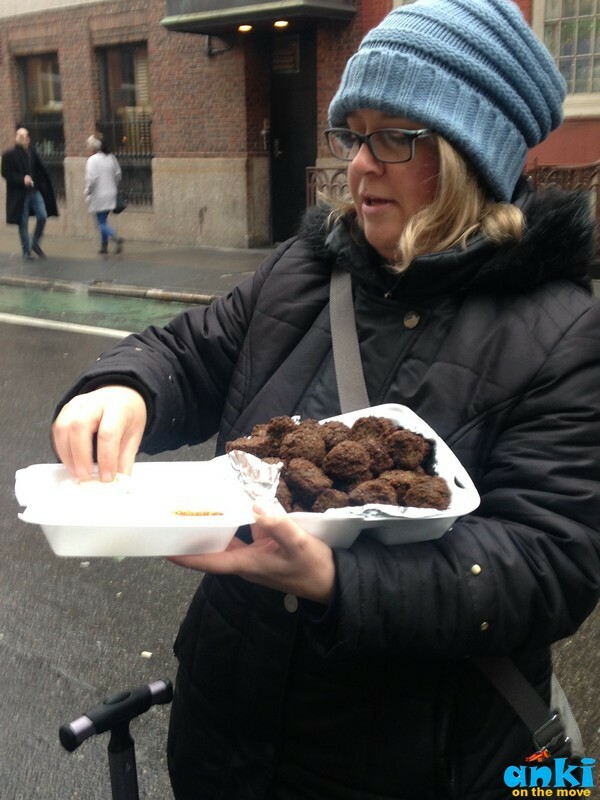 I took the free food tour at Greenwich Village by FreeToursbyFoot and I would highly recommend them to newcomers to the city and residents alike. OH MY GOD! 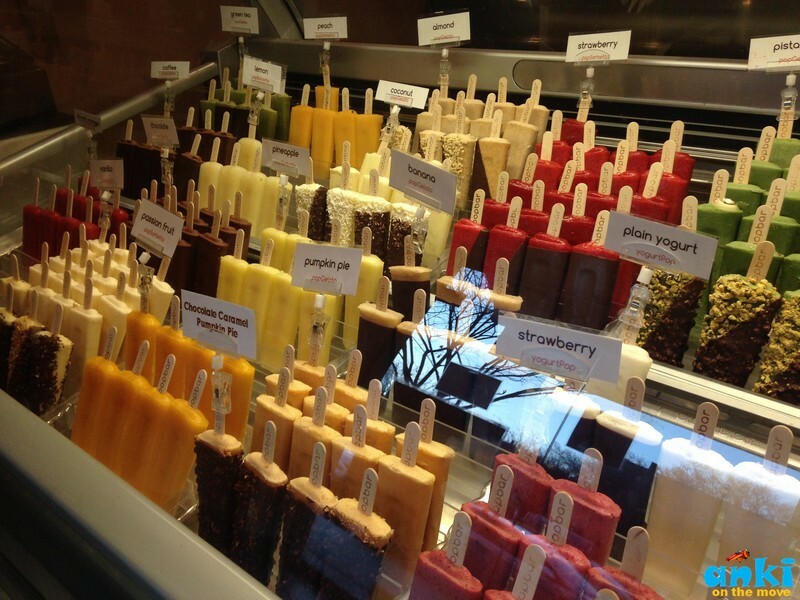 These things are just mouth watering. 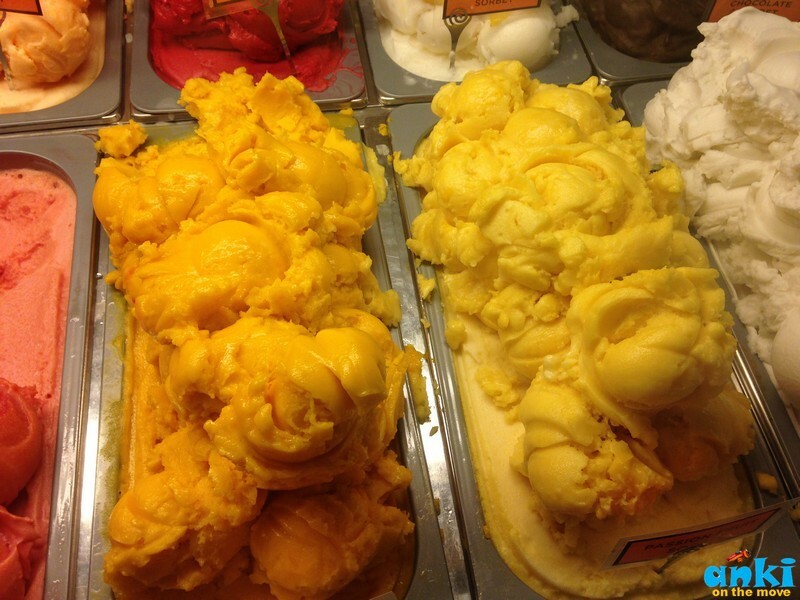 I can say this because it's all about ICE-CREAM!!! !